CONGRATULATIONS to the new JoU thread! Mommy...i'm home..I can't take it..I'm afraid. The thunder has begun. A storm is gonna come. Tomorrow is gonna be a harder day. I think i'm gonna stay here for a while with our couple. LOL! Stay as long as you need. class="yt" id="watch-headline-title" style="font-family: Signika, 'Droid Sans', arial, serif; font-size: 13.333333969116211px; font-style: normal; font-variant: normal; font-weight: normal; line-height: normal; margin: 0px; padding: 0px; border: 0px; outline: 0px; vertical-align: baseline; text-align: justify;"Jo Jung Suk - I Totally Love YouI think that this song JJS I wanted to express my feelings for IU. I'm sure that he really loved her, so play may not feel when they do not, they really love is happiness indescribably beautiful and magical love is very evident in their eyes. All of this is fate, because the role of the first invited ihnii very different actors, and I believe that this is fate brought JJS-IU because fate always finds halves are meant for each other even before they are born. peek a boo! annyeong! just came to bookmark this thread..
congrats fellow shippers! i'm new on this thread so please take care of me..
is this really shipper thread or byeontae club meeting place? keke..
i said i'll just bookmark and i ended up blabbering.. c u when i c u..
Annyeong and welcome @iheartyou1518! Kekeke. This thread is for BOTH - as long as it's JoU related. Finally!!! I was looking out for JoU thread for so long. Thank you so much. :x Now there's a second thread for me to turn to. Thinking about how there's only 7ep left, my heart is hurting so much. I will feel so empty when it ends. ( Let's hope this thread will last till forever. 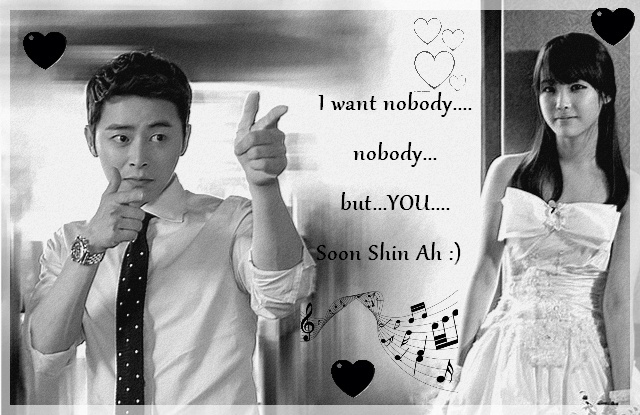 JoU couple fighting!!! And only the eyes can tell us about what you do not put into words ... JoU Couple Love is what I see in your eyes:x Whenever you need meI'll be around!! !Happy People in love always give their eyes!!! what are your favourite Korean programs? Will we ever see a main gay couple in Korean dramas?